Rolex increased their price in Europe by approximately 7%. 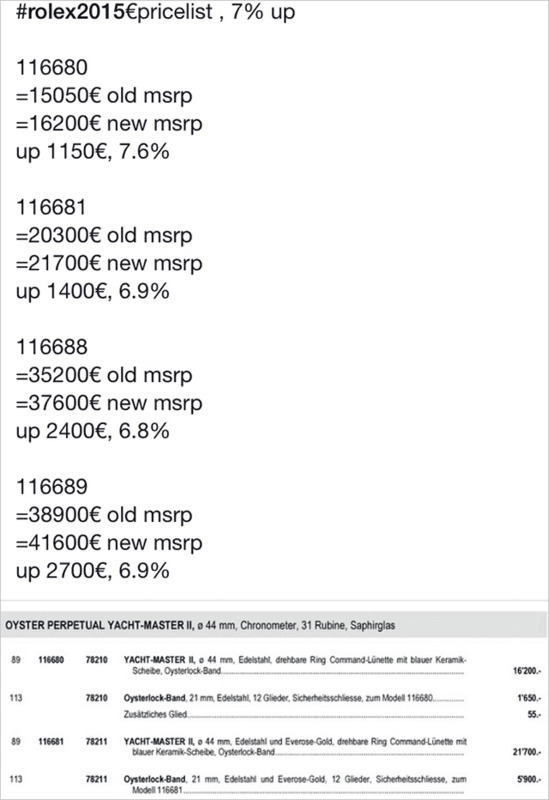 The complete new price list can be found here (via Rolexforum). Bloomberg already reported that Rolex will increase their prices in Japan. Price increase is also expected in Canada. It seems that there are not US price increases for now - probably because of the strong dollar.